LOUDON, NH., May 14, 2018 — Plan Tech, Inc. selected to produce thousands of urethane skateboard wheels for a leading skateboard manufacturer in the USA. Our customer had many requirements for these new wheels with the biggest factor being they needed a higher performance material than what’s commercially available. These wheels are for extreme expert riders who made a wheel that is unlike anything else with a higher level of physical properties for this extreme sport. Urethane was selected for this application due to being easily molded into almost any shape with excellent physical properties. Polyurethane is extremely abrasion resistant even under extreme driving conditions. 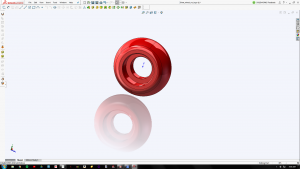 Plan Tech was able to design prototype tooling as well designed an open cast mold capable of producing hundreds of urethane skateboard wheels with tight tolerances for a rapid turn around. During testing, our customer found Plan Tech’s extensive molding experience and high-performance materials to outperform the injected wheels by over 200% and did not flat spot. While they worked for many years in smaller applications we have since won the business of all the existing wheel sizes due to the incredible ability of high-performance urethane and Plan Tech’s capability of molding custom urethane parts of all sizes with rapid turn around. We can incorporate additives that will increase abrasion resistance or add an anti-static additive. Plan Tech VP Engineering Kevin Healy said, “During the prototype phase of these new wheels our customer wanted a high-performance material that would outperform injected wheels with the variety of different hardness. Plan Tech was able to prototype a wheel that lasted 200% longer service life with a more predictable response for these extreme skateboard riders.